We are a leading Exporter & Supplier of Anti-Obesity Drugs such as Xenical (Orlistat 120mg), Reosto 30 Caps, Slim XL Capsule, Lukol 60 Caps, Himplasla 30 Caps, Hoodia 400 Mg and many more items from India. Generic Albenza Tablet are manufactured by best quality chemicals and in hygienic environment. It is used to treat certain infections caused by worms such as pork tapeworm and dog tapeworm. Albendazole 400 mg is available in Chewable form with Strawberry Flavour. Albendazole or Generic Albenza is an anthelmintic (an-thel-MIN-tik) or anti-worm medication. It prevents newly hatched insect larvae (worms) from growing or multiplying in human body. Albendazole is only given orally. The appropriate dosage for a particular person will be prescribed by the doctor or physician. Not for use in pregnant women or one who is planning to become pregnant during treatment. Should be taken with food to lessen stomach upset. We are mainly looking/Entertain For Only Foreign/Export Inquiries. Keeping in mind the exact needs of clients, we are offering a quality range of Slim XL Capsule that is used widely by women for the purpose of losing weight. The offered capsule is formulated using finest grade chemical compounds and latest techniques as per set industry standard. Offered capsule is stringently checked against varied parameters of quality. We offer the offered capsule as per the requirements of the clients at industry leading prices. 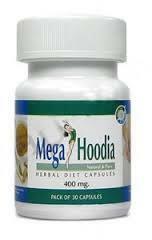 For providing the best Hoodia 400 Mg to our clients, we acquire it from vendors, who engage in using the finest ingredients that are available in the market. With its highly precise composition and pH level, the effectiveness this drug provides in minimizing weight is impeccable in. Made available in the market at the best rate possible, its preference in the market is quite high.